This block was originally owned by the Sheridan Brewery Co., which was located where Whitney Commons now is. The Brewery was founded by Arnold Tschgiri, George Paul, and Peter Demple in 1887. 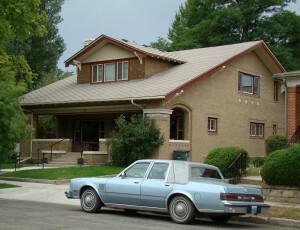 The original structures on this block were built between 1910 and 1922 as a part of the Farnham Addition. These properties provided housing for the brewery’s managers who frequently moved between all of the houses. Most notable, Peter and George Demple lived in both 336 and 429 in the 1940s.